Machine Learning is a key topic and due to demand we will be running a #7 session for the Spring/ Summer season. Registration is now open and we have already secured some incredible speakers, with more to be confirmed. The event is free of charge and we always provide a beer and a bite. 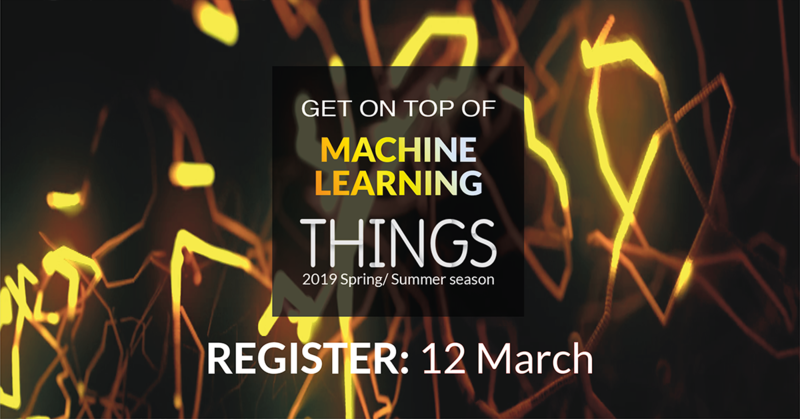 Come join us and be inspired by and connect with companies working at the cutting edge of Machine Learning solutions and technologies. 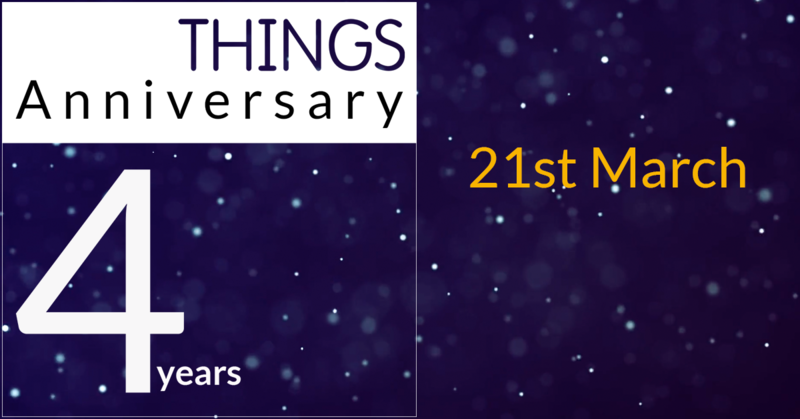 There are only 3 weeks until we open our doors to celebrate THINGS 4 year anniversary with over 200 invite-only guests. It promises to be an inspiring networking evening with some 30 innovative exhibitors, excellent company, great food and drink. We will also be announcing THINGS 2019 Wall of Fame recipient: which hardware hero will join previous winners Martin Gren (Axis Communications), John Elvesjö (Tobii) and Nicolas Hassbjer (HMS) and Stina Ehrensvärd (Yubico)? 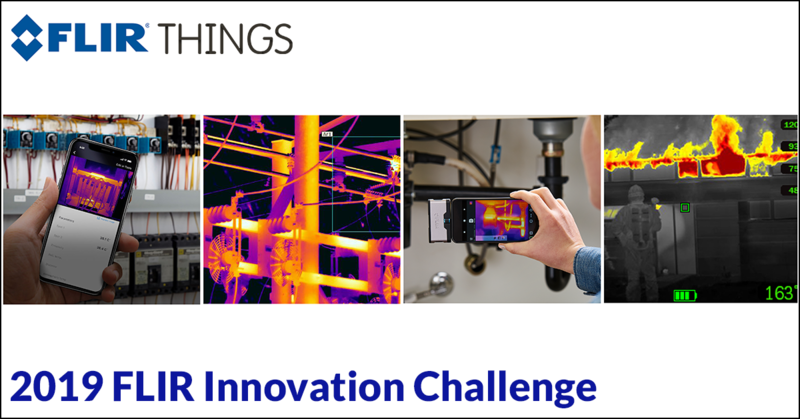 The official participants in the 2019 FLIR Systems Innovation Challenge have been announced! After careful deliberation the Innovation Challenge jury chose 9 projects to move forward with and look forward to seeing the selected developers at THINGS on 6th March for the Challenge Kickoff meeting. Good luck participants and thank you to everyone that entered ideas! 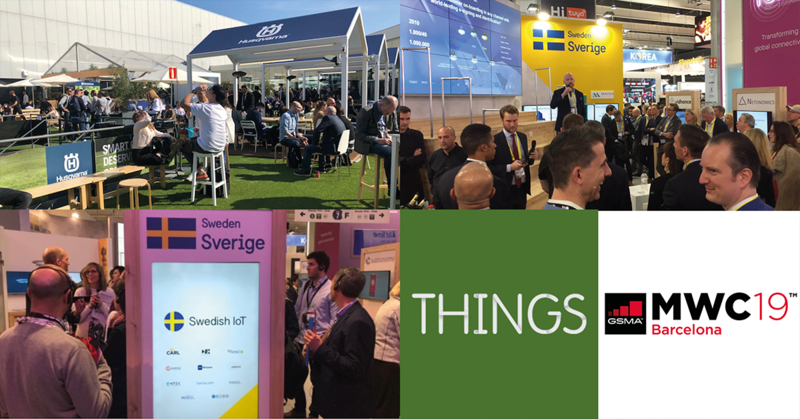 THINGS is part of the alliance for Swedish IoT companies, SMSE and we are at MWC19: the largest mobile event in the world! Visit us at 'Swedish IoT' in the Swedish Pavilion 7E41 and meet us together with other alliance members: Carl, Digital Nordix, Ekkono, Epishine, H&D Wireless, Imagimob, MTEK Industry, Tantalum, Wbird and WSI! Welcome new THINGS Enterprise Circle partners! 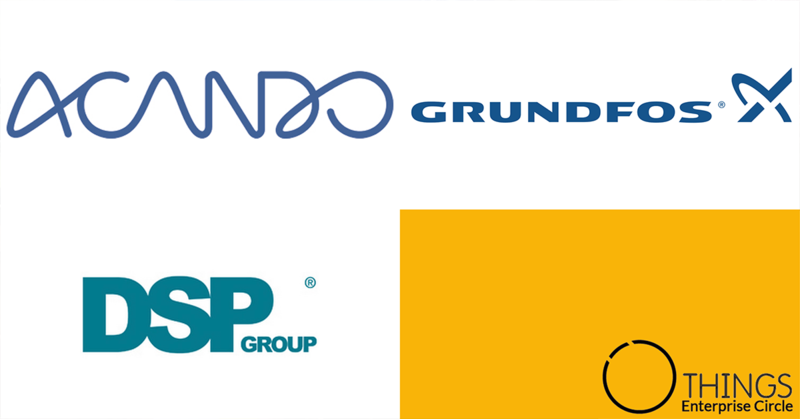 Acando, Grundfos and DSP Group joins THINGS Enterprise Circle (TEC) together with some 30+ corporates! Designed for corporates navigating the digital transformation with an interest to learn and facilitate collaboration between corporates and startups, TEC membership provides access to an à la carte of services to support your company at each stage of the digital transformation process according to your specific needs and requirements. 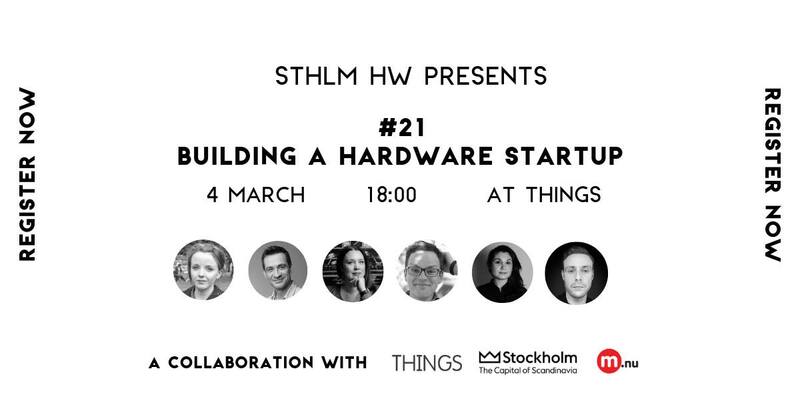 Join hardware startups sharing their experiences and tips at sthlmHW #21 Building A Hardware Startup. Building a business with connected devices is more complicated than building software solutions. Get inspired and learn about pitfalls and success factors from the very people who have done it. THINGS is proud to support sthlmHW by hosting sthlmHW monthly events at our 2,000m2, KTH campus located co-working space. Stockholm Hardware (sthlmHW) is a monthly meetup group of 2,000+ for everyone with an interest in hardware: beginners & experts, engineers & creatives, startups & enterprises. 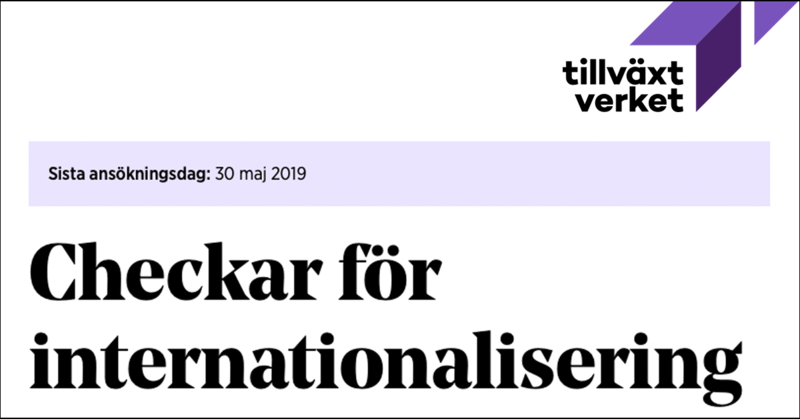 Thereby contributing to the building of a strong hardware community in Stockholm! Labtrino are recruiting a CCO (Chief Commercial Officer)! Labtrino develops an intelligent water meter system for residential property owners that enables sub-metering cost-efficiently. The company’s Trinometer system uses machine learning to break down water usage data into outlets and diagnoses an entire homes water and hot water energy usage from a single, patent pending, non-invasive sensor. In our smartphone app, tenants then receive individually tailored nudges on how to efficiently lower usage, without sacrificing comfortability. 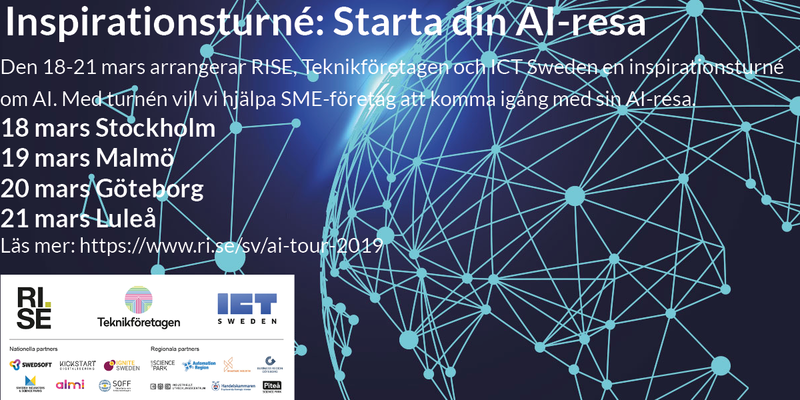 On March 18-21 RISE, Teknikföretagen and ICT Sweden will arrange an inspirational tour about AI, with the aim to help SME companies get started with artificial intelligence!